Investment is ought to yield return.Talk about any business and the biggest channel pulling the revenue for it is the digital platform. Mobile apps have brought immense changes in the way people do the business. They have made the process easy, convenient, profitable, and efficient. With the advent of virtual reality, the development of real estate apps has hyped to whole another level. For people who want to invest at distant locations but don’t want to travel that far, real estate app is the best resort. 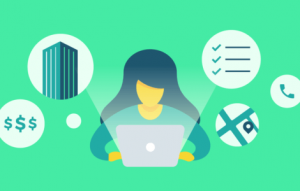 For any business whether it be real estate or something else, missing out on the technology would be losing a huge community of potential customers. 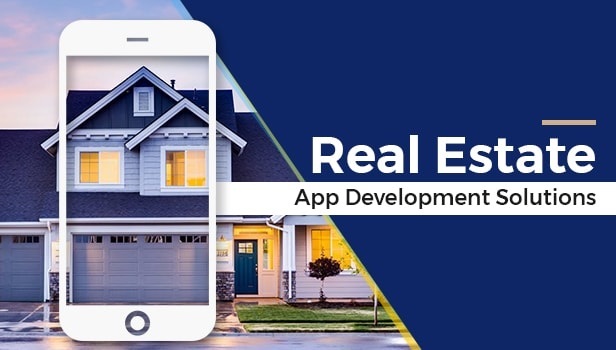 Now, if you are still faffing around whether it is a wise decision to make the investment in a real estate app, here are some of the benefits of it to convince you. Well, gone are the days when buyers use to pay a bulk of the money to the brokers and get to know about the properties only through them. Now, the buyers can directly meet the sellers without any mediator. The process gets shortened, few bucks are saved, and on the top of that, the choice of property is enlarged. Now, this was from the buyer’s side. Coming to the seller, they can explore a wider range of audience with a real estate app. Those buyers who are not ready to visit the property and waste their time without knowing the details and looks can now check the pictures through the app and then decide whether it is their type or not. The app helps to make a deal digitally. A mobile app can keep different categories for different type of users. 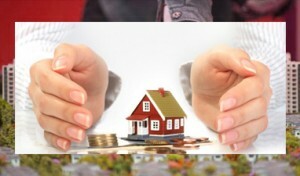 Users who are looking to buy property can explore such properties. On a contrary, those who are looking to rent the property, they can get the options likewise. Also, those who are looking for hostels and paying guest can also get the options for such residence. Hence, different types of users can get properties as per their choice and need. The buyers can watch the property without actually having to visit it. The sellers can list the property, its features, size, attach the pictures of different rooms from a different angle and also attach the video. Buyers can get the view of the property from every different angle sitting right at their home. This saves their time, efforts, and money. So, isn’t it great for the buyers to remotely view the property and make their choice? The seller also gets the potential people inquiring for the property who knows the details about the property and are genuinely interested in the purchase of the same. If you are going to build your own real estate mobile app, you will have the liberty to customize it your own way. You can make the design as appealing as you want and add features that can entice your users, and target a wide audience base. You also have the liberty to list and delist the property, add images and videos. For surged user experience, you can have the filter and search to enable the user to sort the properties as per the size of the area, or the number of rooms, or area or locality, or price. Better the feature, more will be the users. Your app has a strong user base and generating a sound amount of revenue. That’s great!!! Do you think this will continue to remain the same without making any upgradation in the app? If this is what is you think, let me put this straight, it won’t have any future this way. Your real estate app is not the only one in the market, there are plenty more of similar category. If you won’t make any changes, your competitor will come up with something better and your user base will fall in no time. The best way to make changes is to take the user feedback very seriously. Take the feedback positively and make a quick call to action. This will help your app in two ways: the first is to retain the existing users and another is to keep them happy and satisfied. Well, mere Android or iPhone won’t work. Make sure to launch your real estate app on both the platform to get more traffic. It’s the competitive market you are stepping into. A small difference, a little innovation, a little extra effort can give you big benefits. Launching your app on both the platforms is one such advantage you can get. So, now when you know the benefits, you also know what exactly you need to incorporate in the app, so what else are you waiting for? Just contact a reliable iPhone or Android mobile app development company and get started with bringing the properties on the mobile devices. Jaydip Dobariya Editor of digitalduncans. For the last one years, he has been contributing to several leading online publications, including Appstory, Datafloq, Dzone, B2C, etc. At the workplace, He is admired for his team management skill. Previous How to Go Back to the Old Gmail Hate the Gmail Redesign?